Partnership with Ekland Marketing Company of California, Inc.
California Pacific Plant Exports, Inc. draws upon its close relationship with Ekland Marketing Company of California, Inc. (EMCO CAL) to access the latest strawberry varieties appropriate for commercial strawberry production around the world. In 1990, EMCO CAL launched a major effort to bring alternative sources of strawberry varieties into the world market. The company identified a need for varieties that adapt to different production environments. EMCO CAL has specific expertise in (a) implementation of variety trials to evaluate new cultivars in the principle strawberry growing areas of the world; (b) acquisition of plant breeder rights and plant patents for successful varieties in many different plant propagation regions, and (c) licensing of propagators and administering patent royalty programs for new strawberry varieties. 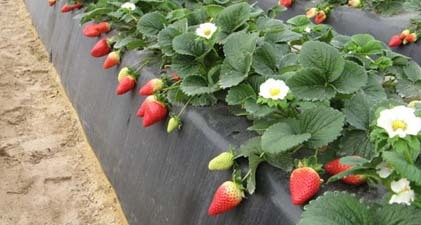 Currently, EMCO CAL represents five public and proprietary strawberry breeding programs. The different programs offer complementary genotypes that extend the range of possibilities and potentials for the strawberry fruit grower.